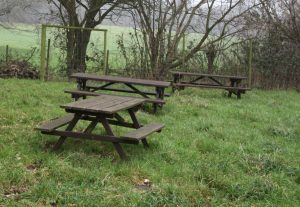 We have a Picnic Area, complete with tables, at the south end of the Centre (look left from the entrance at the walled garden). This is open every day during daylight hours. You are welcome to use it but please: no litter and should the sheep come to the fence do not feed them as this could cause illness or even death. Sometimes they might be on a restricted diet for veterinary reasons and even an apple might cause problems. 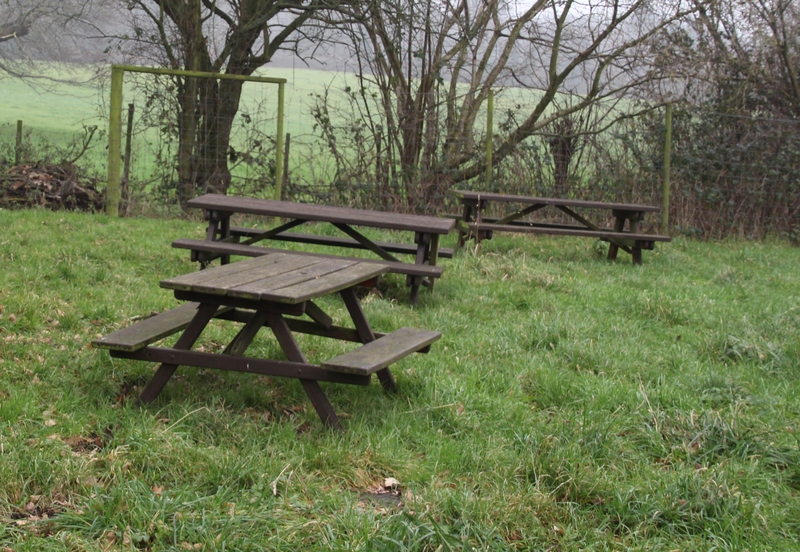 Even though it is fenced off from the Orchard, dogs are not allowed in the picnic area. Take a look round before you go and pick up any litter which you might have accidentally dropped.